The U.S. government has been delivering weapons, vehicles, sophisticated communications gear and advanced combat medical kits for two weeks via the CIA and State Department, according to a Washington Post report. However, the CIA has played a significant role in arming the rebels for quite some time now as even The New York Times reported in June 2012. The US government has been assisting in the arming of the rebels in other ways as well. 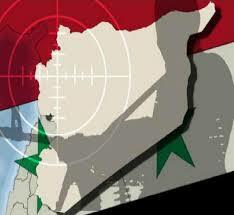 There were also reports in August of U.S., Israeli and Jordanian commandos operating on Syrian soil with the rebels.